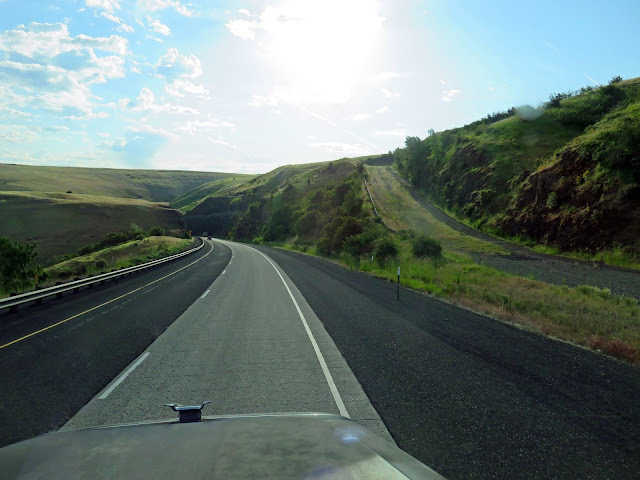 In mountainous areas where there are hills with steep grades- this one was on Cabbage in Oregon - there are often runaway truck ramps to be used in the event of brake failure. The runaway ramps always have a long and steep upgrade and are usually filled with sand or gravel to help quickly slow the truck as it sinks into it on its way uphill. Car and Driver have provided more detailed information about this highway feature that thankfully, we've never had to use.